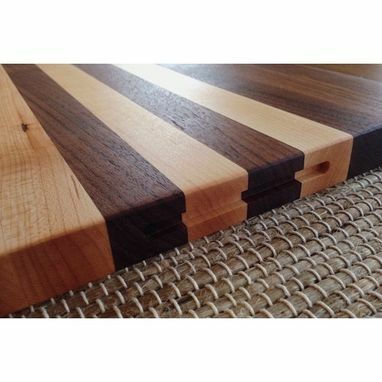 This walnut and hard maple cutting board measures 14" x 11" x 1" thick. 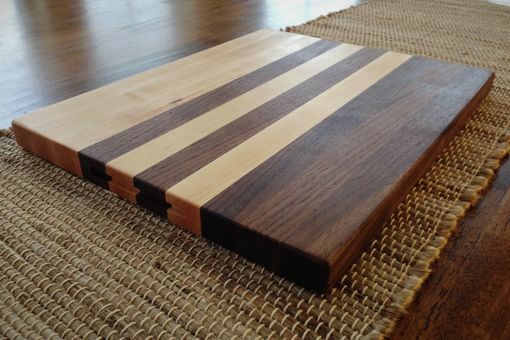 Perfect for cutting veggies and preparing food in the kitchen. Care instructions sent with board.